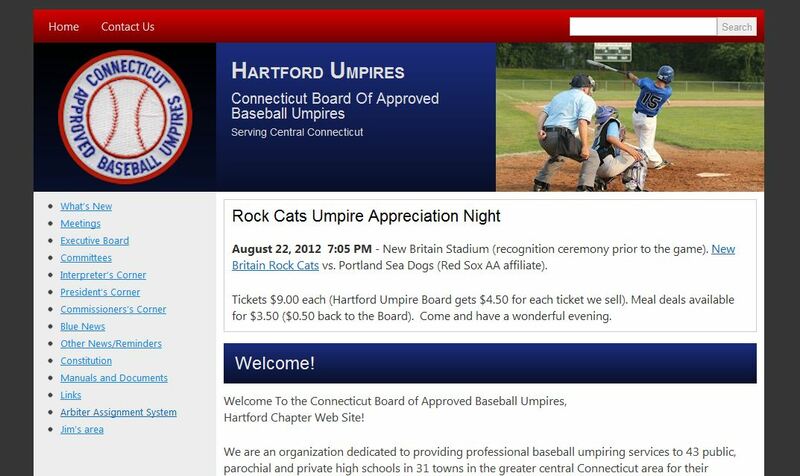 Dedicated to providing professional baseball umpiring services to 43 public, parochial and private high schools in 31 towns in the greater central Connecticut area for their Freshman, Junior Varsity, and Varsity home games. In addition to the Spring High School season, Hartford Umpires provides superior umpiring services to numerous other leagues throughout the Spring, Summer and Fall seasons, including American Legion, CCBL, CNMSBL, Farmington Bank/Vantis Life, GHIBL, MTL and many others. Founded in 1924, the organization has grown to be one of the largest baseball umpiring boards (approx. 180 members) in the state of Connecticut. Many members are qualified to umpire games played under National Federation, NCAA and MLB Professional rules.